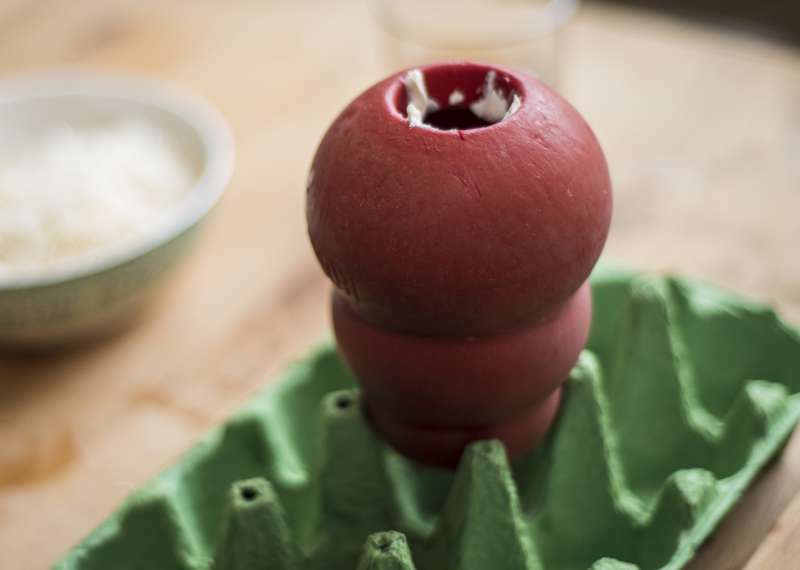 The art of kong stuffing is not difficult to learn, but there are requirements for them to work, both for the dog and the human to be satisfied. 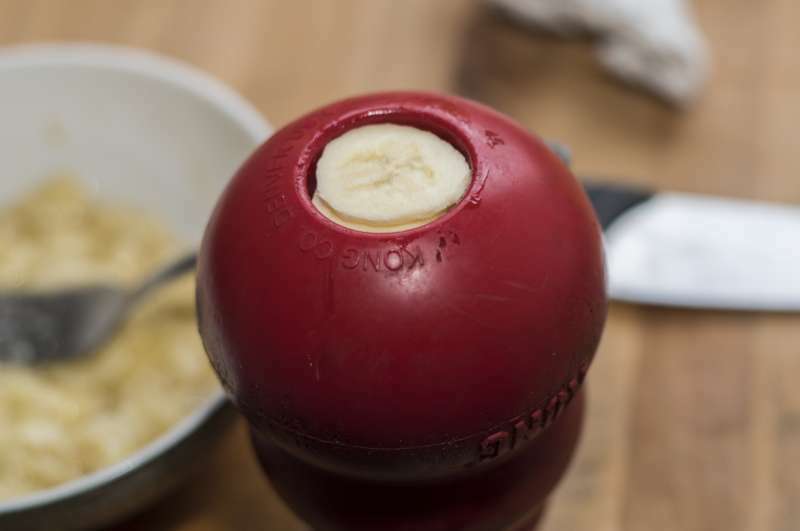 First you need to decide what the kong is for. Is it a meal in itself? A reward for being good? A treat to be left with when you go out between meals? Whatever it’s function there are some rules to follow. 1. 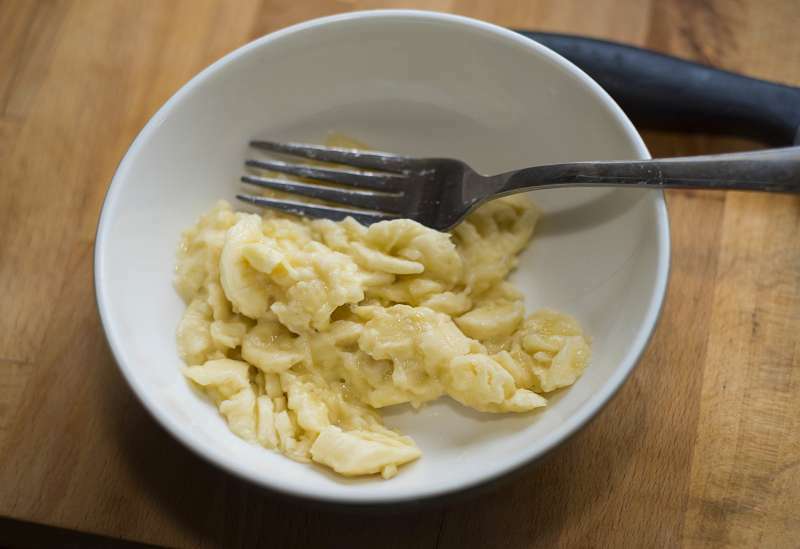 The filling has to be at the correct consistency. 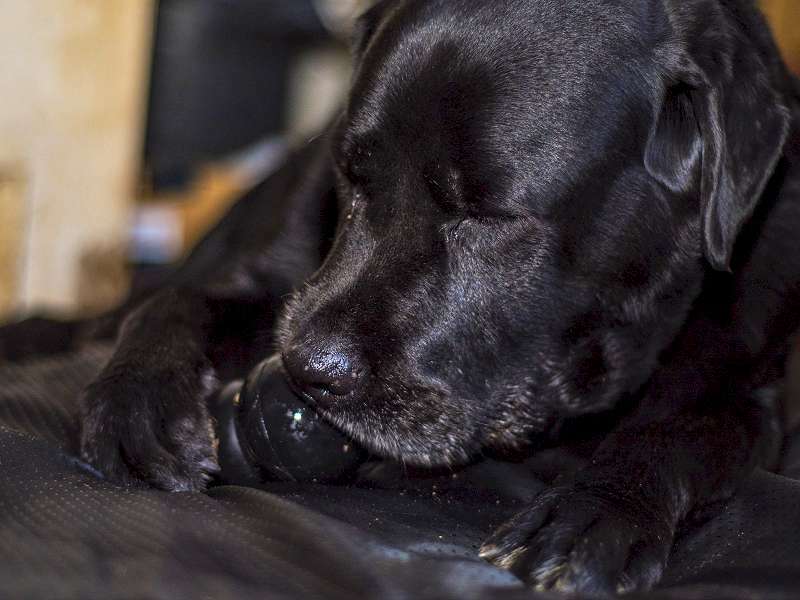 If it is too hard to get out dog will become frustrated and bored with it. If it is too soft then it will go too fast and the dog will be left feeling unsatisfied and bored …these apply especially if given one to amuse while you are out and the object was to keep dog occupied to prevent destruction etc. 2. 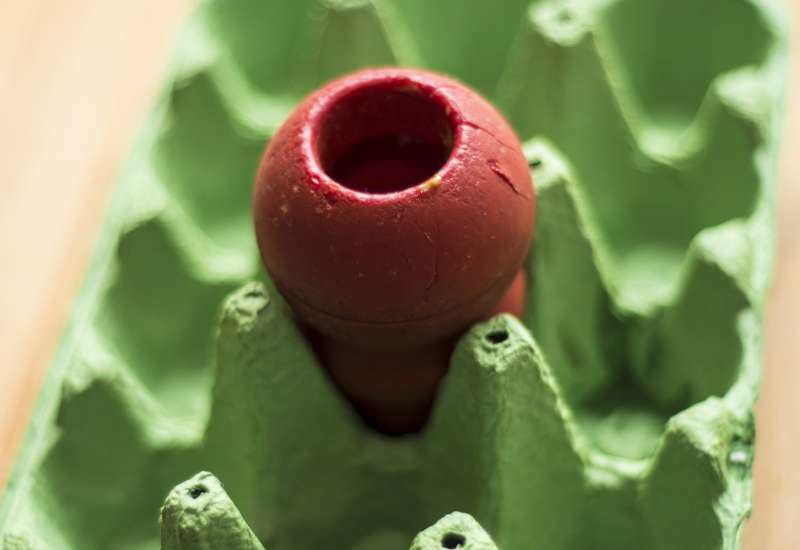 It has to be the correct kong, as in the correct size for the dog’s mouth and tongue and of the right hardness and density. 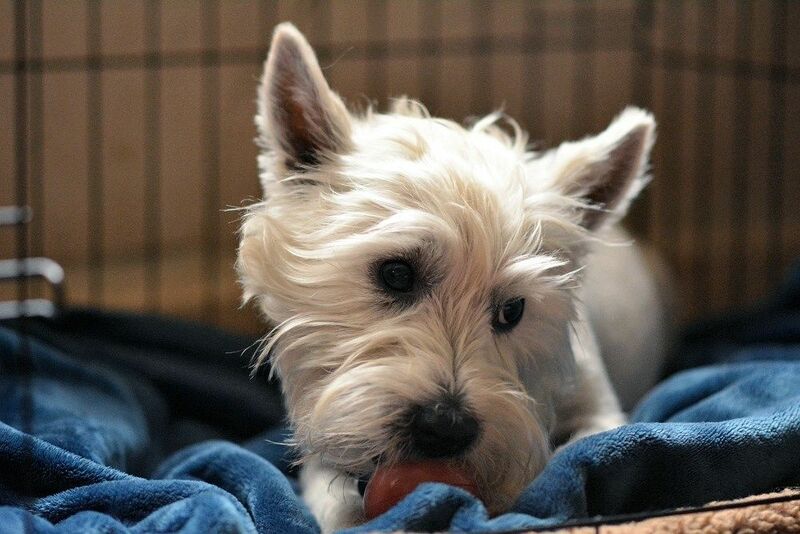 You do not want the dog to eat the kong…you will end up with a huge vet bill. 3. 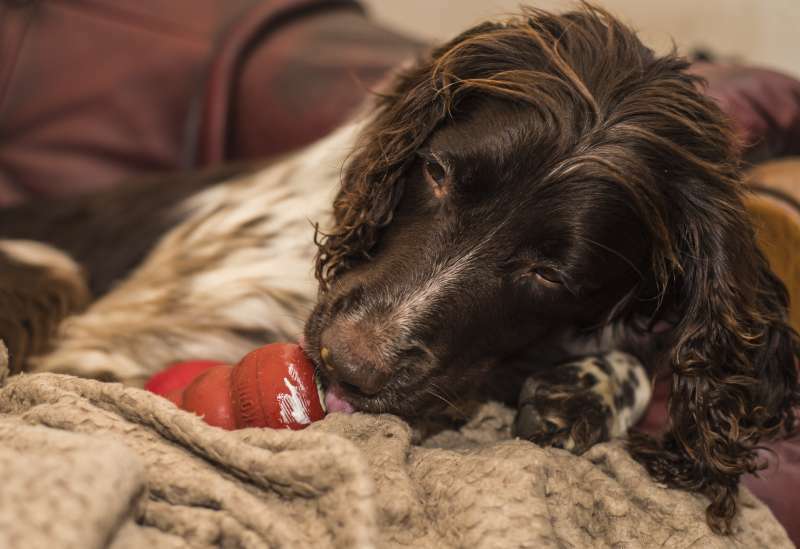 Until the dog understands the concept of eating from a kong, never leave alone and unsupervised and if your dog has guarding tendencies then you need to work on the ‘mine’ ‘yours’ training with it…a kong, like a bone is a high resource. 4. 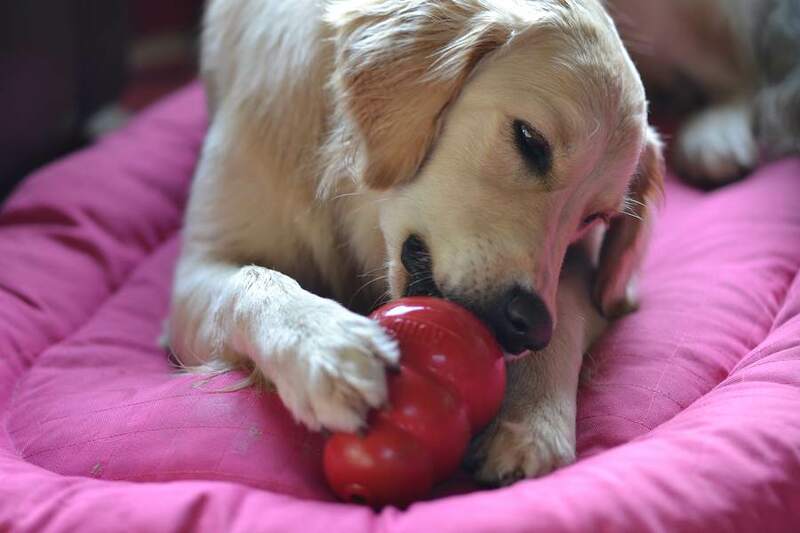 A kong is not a toy: you wouldn’t allow your dog to play with his/her food dish…don’t allow the dog to play with a kong. It is yours not the dog’s and is given at your say so and as such a powerful training and bonding aid. 5. 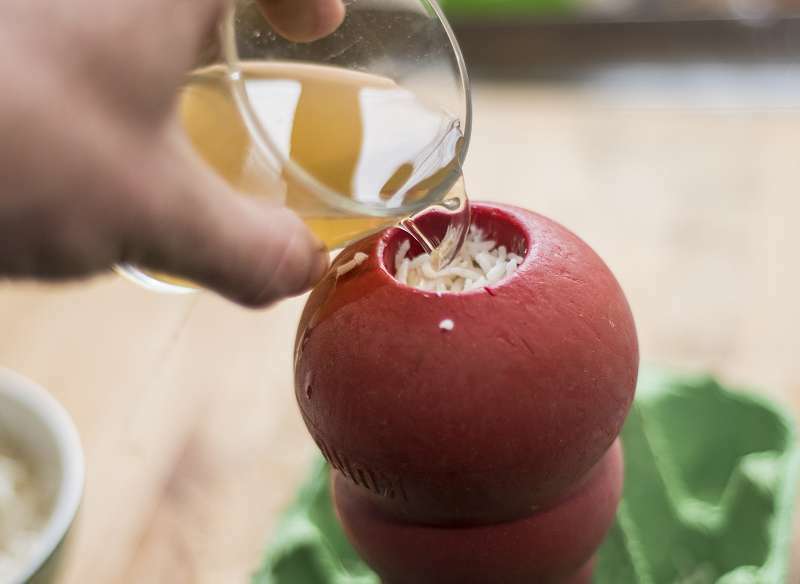 It has to taste good…be appealing to the dog and have healthy ingredients; the less commercial junk in the better. 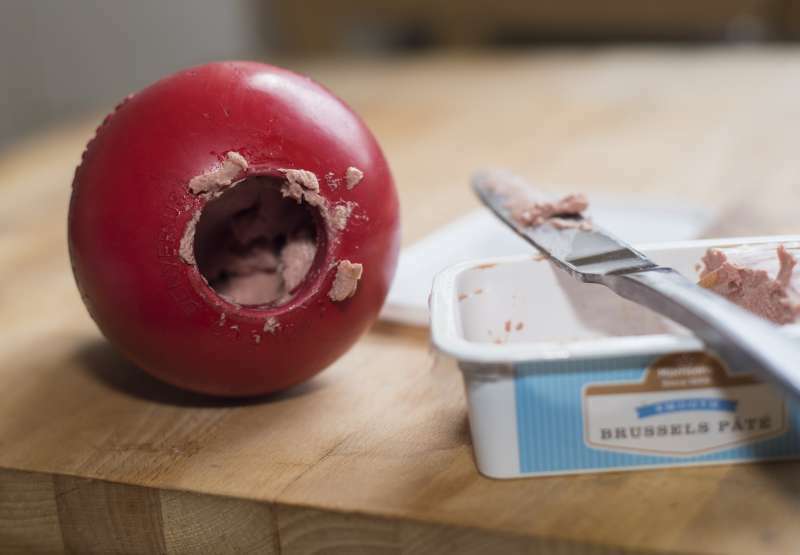 Below are tasty and delicious dog food ideas to fill your dog’s Kong. 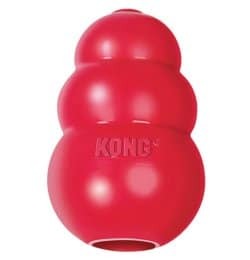 Every dog needs a Kong. Click image to see it on Amazon. 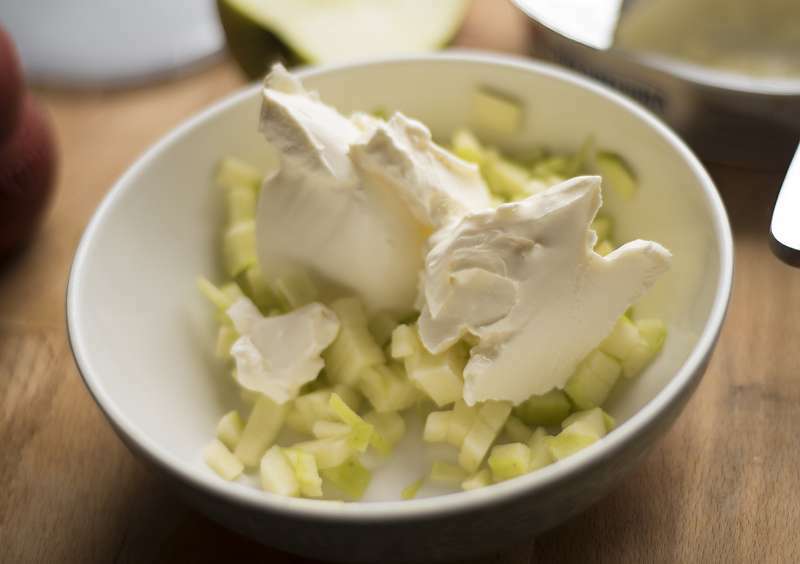 The stuffing needs to be firm but not hard…about the consistency of pate of soft cheese to begin with. 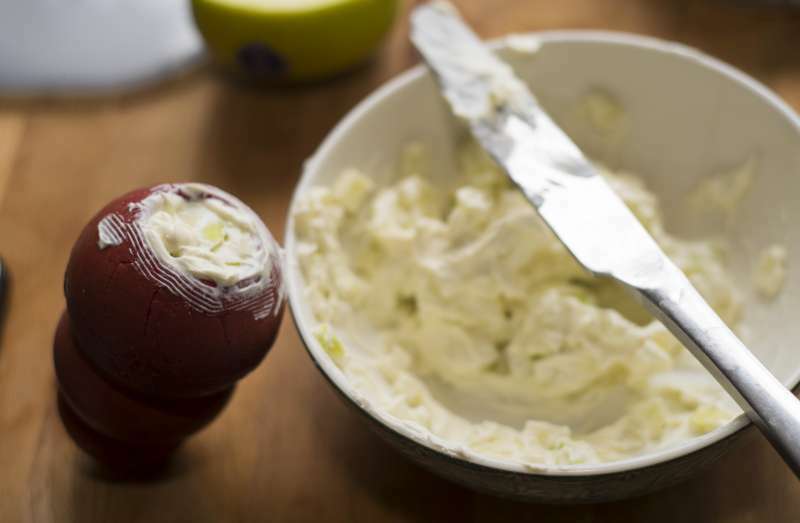 It is easier to make them up while the filling is still warm or at least at room temperature; you can then leave them in the fridge overnight to firm up to the consistency of firm chilled pate. 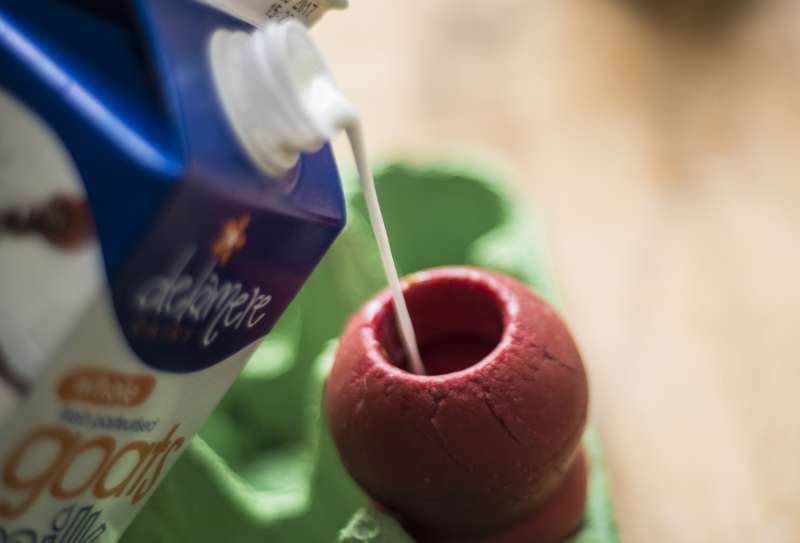 As the dog works at the filling it will soften with the warmth of his/her paws and the action of the saliva. 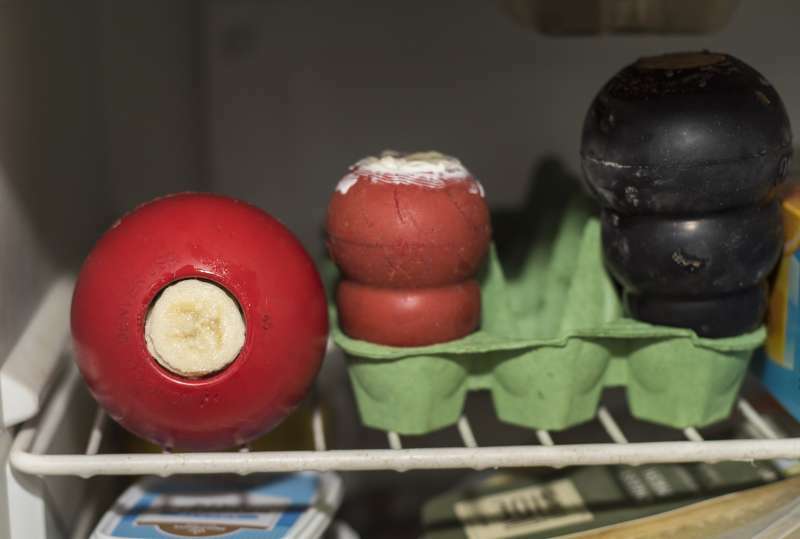 Frozen kongs (we call them doggy lollies in this house) are good as a treat on hot days and help add more fluids into the system. 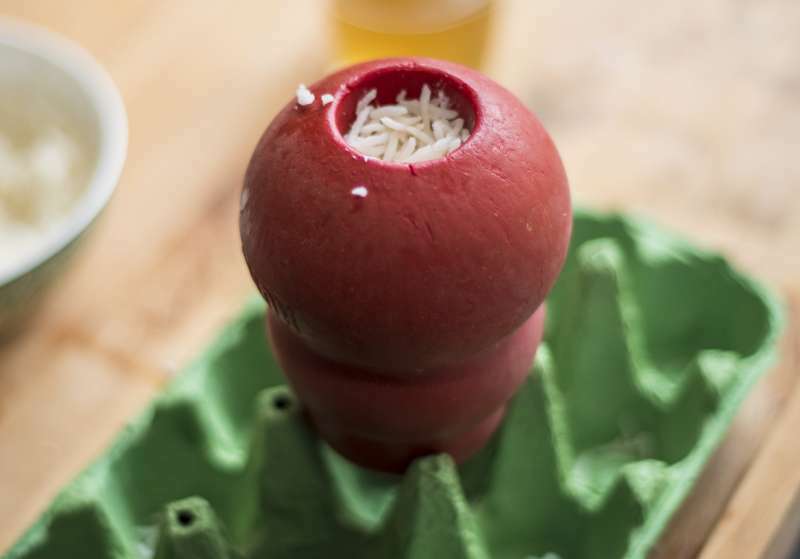 My dogs love frozen fruity kongs on a hot day…but you might want to give those outside. 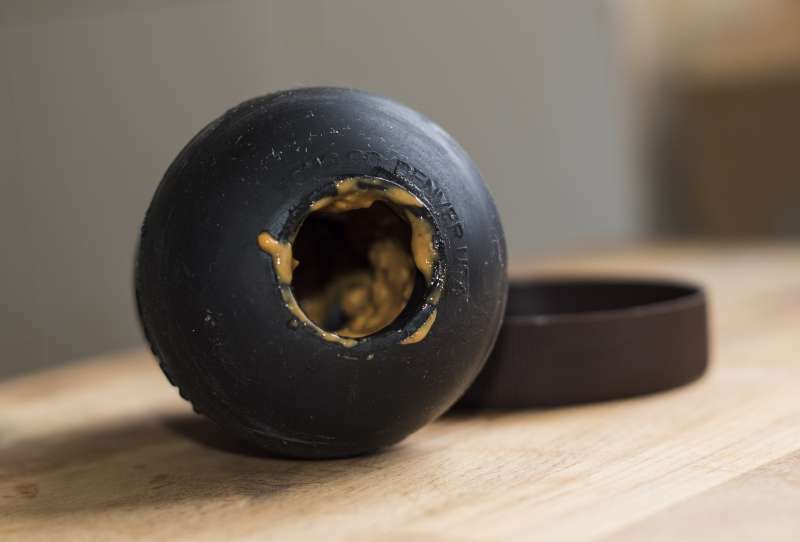 Check the information on the packet…manufacturers give indications of ‘toughness’ but you know the power of your own dogs jaw…if your dog can destroy hard substances then you will need the heavy black kong. If you have a puppy you are kong training then the soft light blue one will be best. 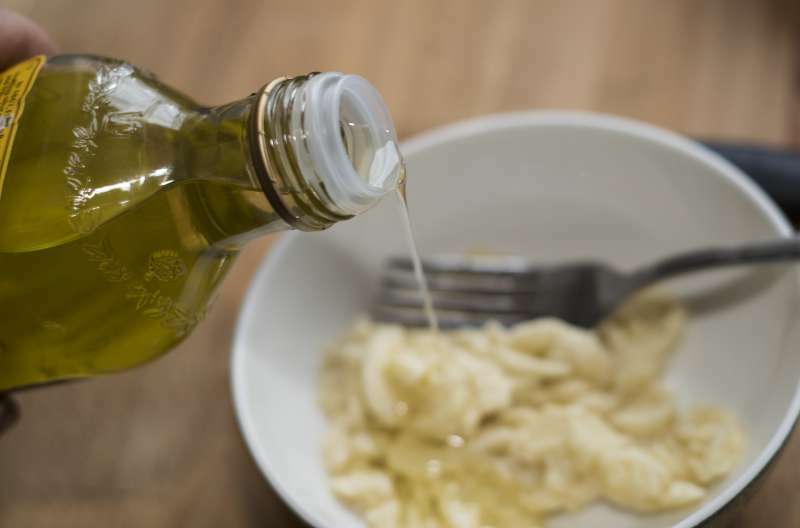 If it is in substitute of a meal then it will need to be large enough to take the equivalent of what would normally go in a dish. 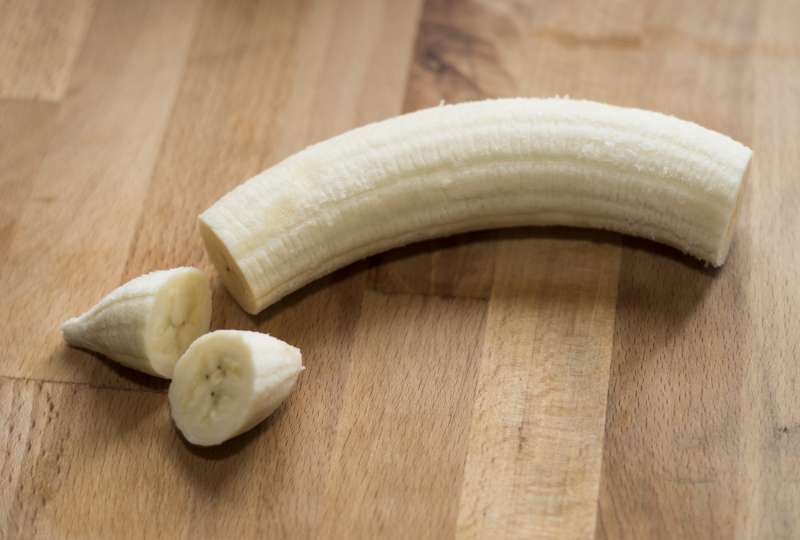 Cut of the end of a ripe banana (2 if using the large kong) and block the small hole at the bottom of the kong. Slice 3 or 4 thin pieces and put to one side. 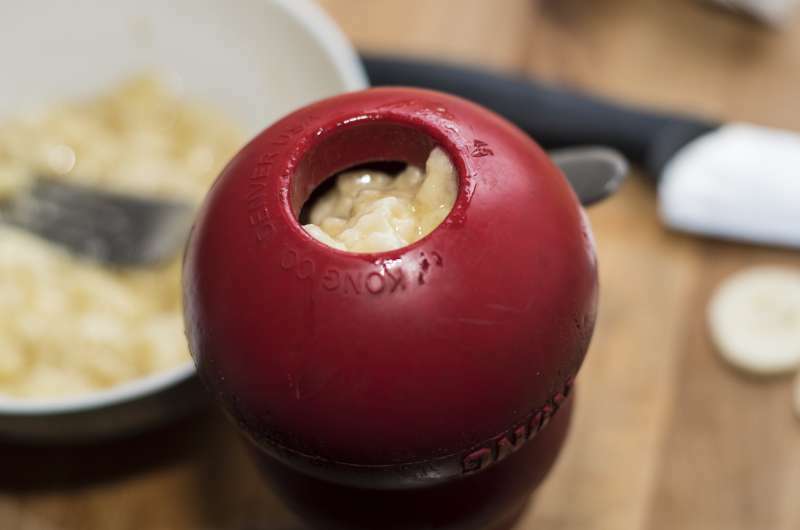 Place the sliced pieces on the top sealing the large end. 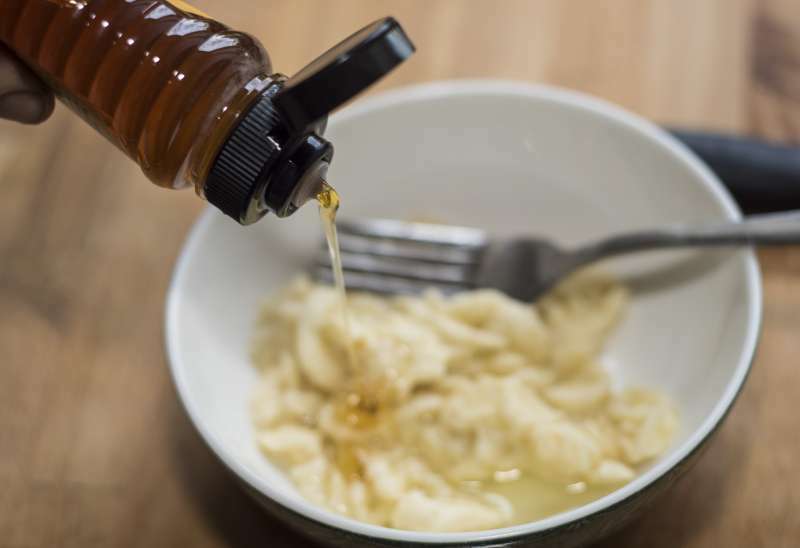 Smear with a little oil and put in fridge to set for an hour. 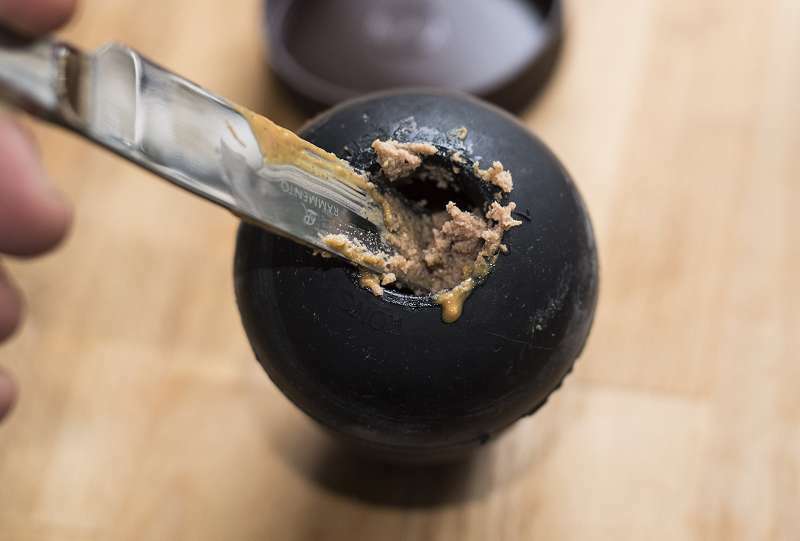 Seal the small hole with peanut butter then smear peanut butter all around the insides. 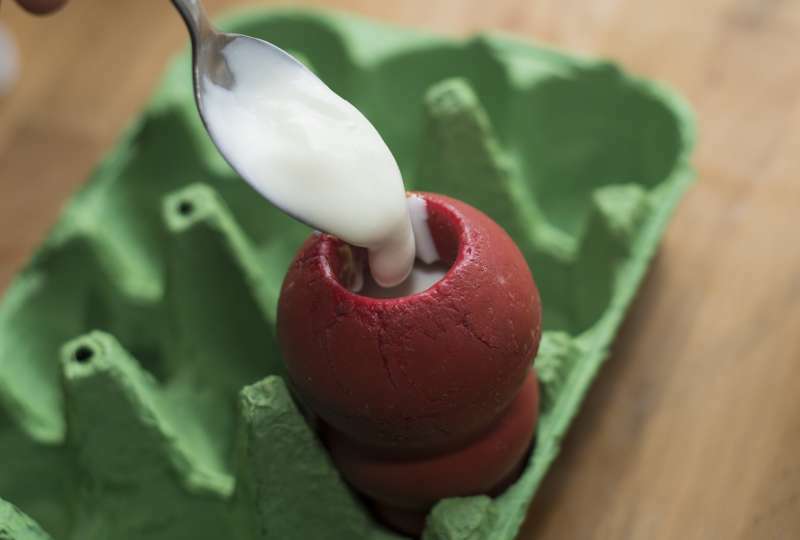 Fill the remainder of the kong with plain yoghurt… you can also add some pureed fruit and/or honey to the yoghurt if you wish. 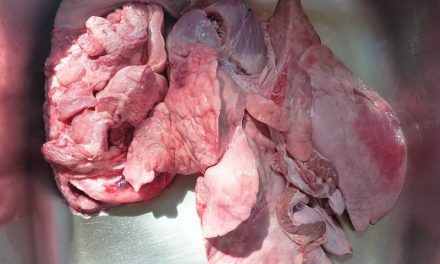 Freeze for 24 hours. 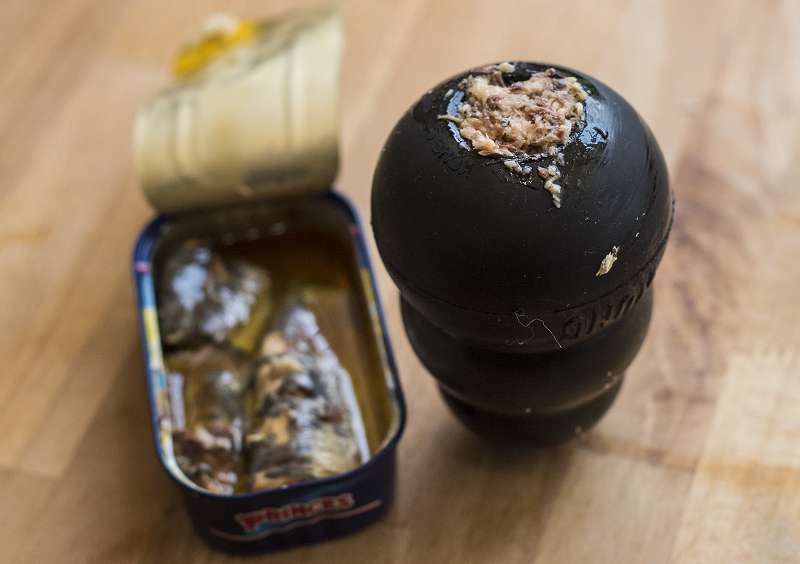 Mash a tin of sardines in oil into the Kong for an instant delicious ready to eat Kong. Freeze to make it last even longer. 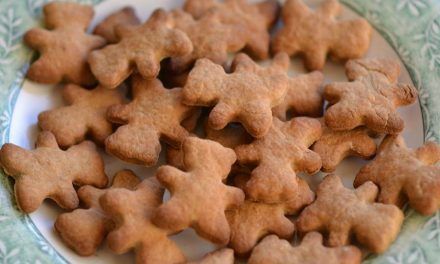 Check out the other recipes I have including the internets most popular dog treat recipe: Liver cake, the most favourite dog treat you can make at home. 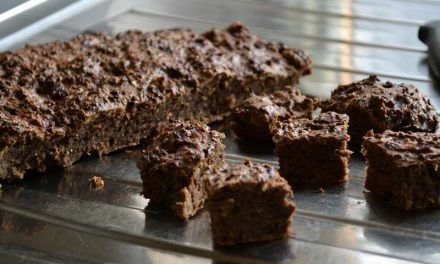 Just made the liver cake for our new puppy for a training aid Training should go very well based on how much he loves them! Now for the tuna cake! not very technically literate.lease is there a book Of these recipes I could but so I could make them. Afraid not. Best bet, is to print them out. 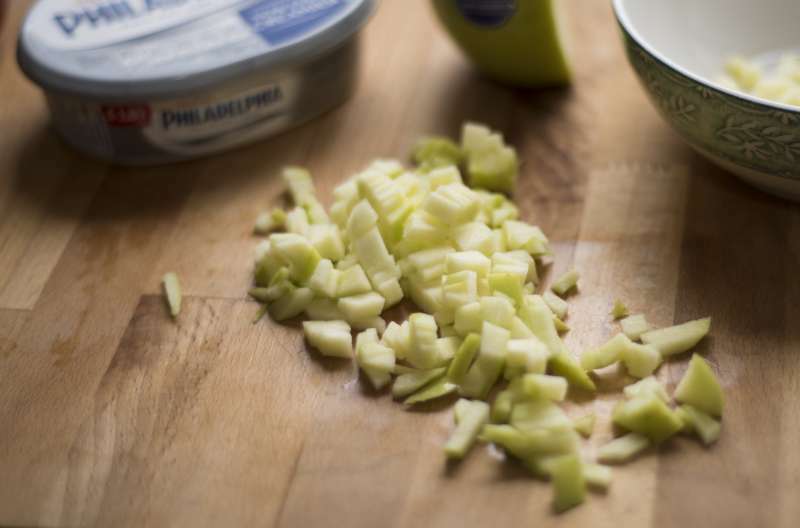 You refer to saving the melon seeds for natural worming… How does that work please? 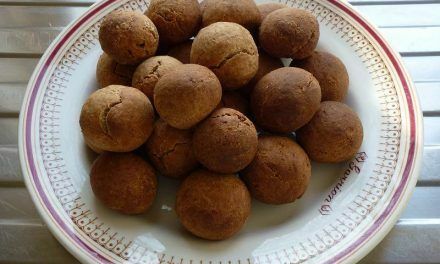 I have tried the liver cake and sardine oatcakes recipes with great success, thank you! My family are a bit sceptical about them, but I love the idea of knowing exactly what the dogs are consuming, so will continue.